Mention the words maple and bourbon to most people and they get an ear-to-ear grin. Seriously. You’re probably grinning right now. On their own, each of these flavors is spectacular – put them together with coffee and my oh my, what a wonderful day. Brew the coffee. A dark roast is preferred. In the mixing bowl, combine the whipping cream, maple syrup, vanilla and brown sugar. Whisk until the sugar has dissolved. Add about 1/8th of a cup of the combined whipping cream, maple syrup, vanilla and brown sugar to your coffee mug at first. Stir it up and take a taste. 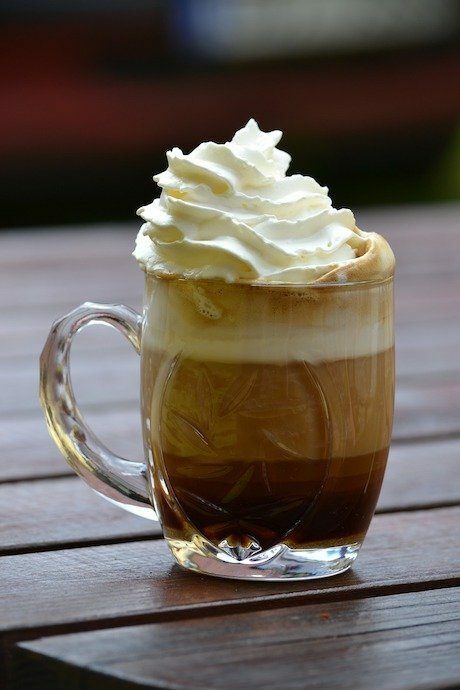 You can also make your whipped cream and plop it on top of your coffee drink. While this recipe calls for brewed coffee, you can also use a shot of espresso for this drink and make an Americano to add in instead.